I love yogurt, especially when it’s frozen! It’s just as good or even better as ice cream to me! Do you think that you have to make frozen yogurt in an ice cream maker? Guess what? YOU DON’T! I’m going to show you how to make frozen yogurt the easiest way that I know! All you need is a food processor or really good blender like the vitamix. After you make this frozen yogurt recipe, you can add whatever frozen yogurt toppings to make it a treat or you can just eat it as is! I’m going to share my strawberry frozen yogurt recipe, but you can change it up anyway you want just by switching out the fruit! It’s that easy! I think next time I’m going to make raspberry frozen yogurt! I hope you enjoy this I hope you enjoy this Homemade Frozen Yogurt Recipe! Add the frozen strawberries, agave nectar (or honey), yogurt and lemon juice to the bowl of a food processor. Process until creamy. Usually takes about 5 minutes. Please Note: Fresh strawberries can be used in place of frozen, however the fresh strawberries must be frozen solid. 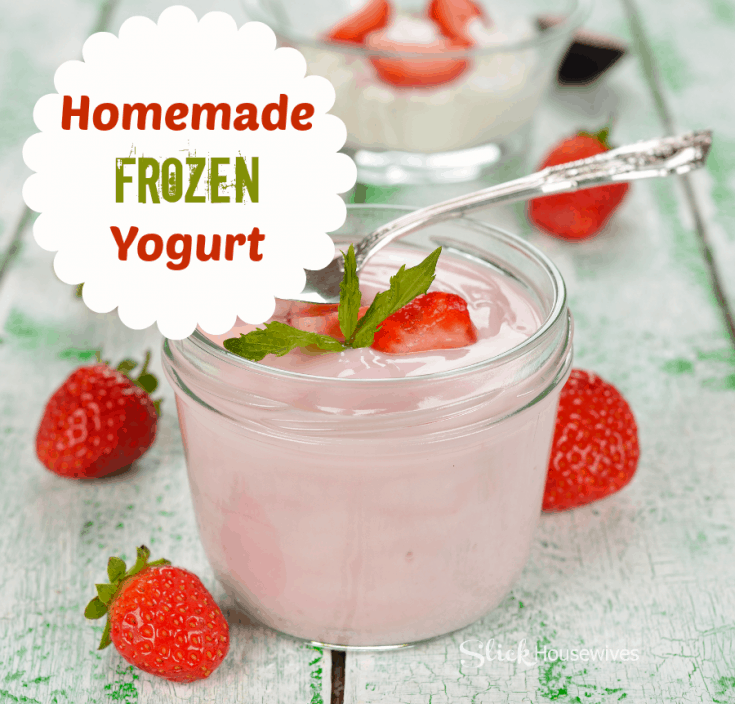 Let me know what flavor is your favorite Homemade Frozen Yogurt Recipe!